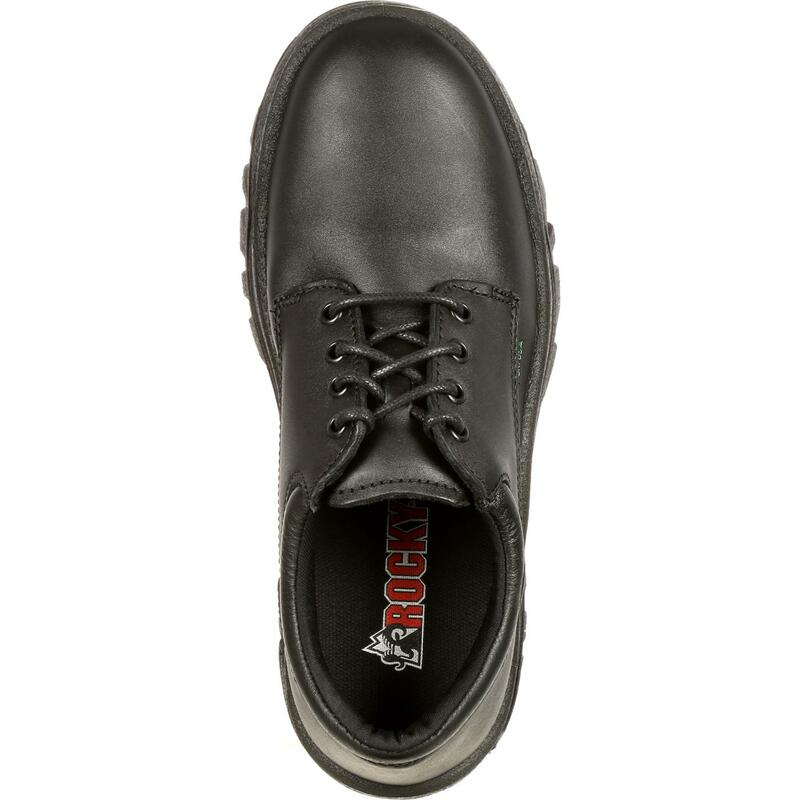 The Rocky® TMC Postal-Approved Plain Toe Oxford Shoe is the perfect selection for a professional who seeks a shoe as serious as his work. 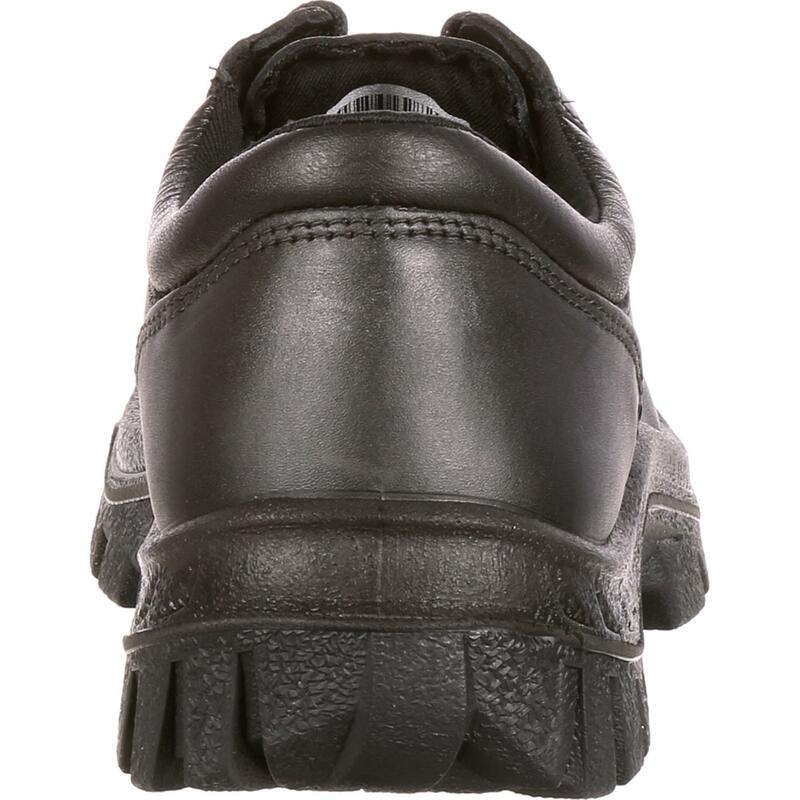 This made-in-America duty shoe meets Berry Amendment standards. 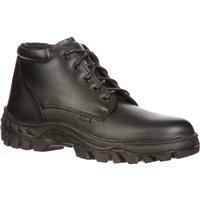 It's a high-quality option to meet the practical needs of your job, in a sleek and simple style. 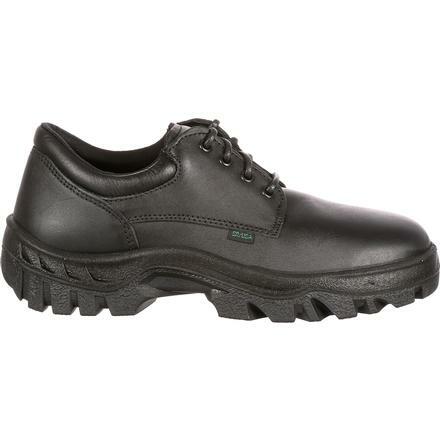 This men's work shoe was designed with your job in mind. 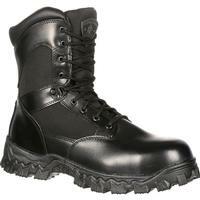 It features a non-metallic stabilizer to provide you exceptional support. 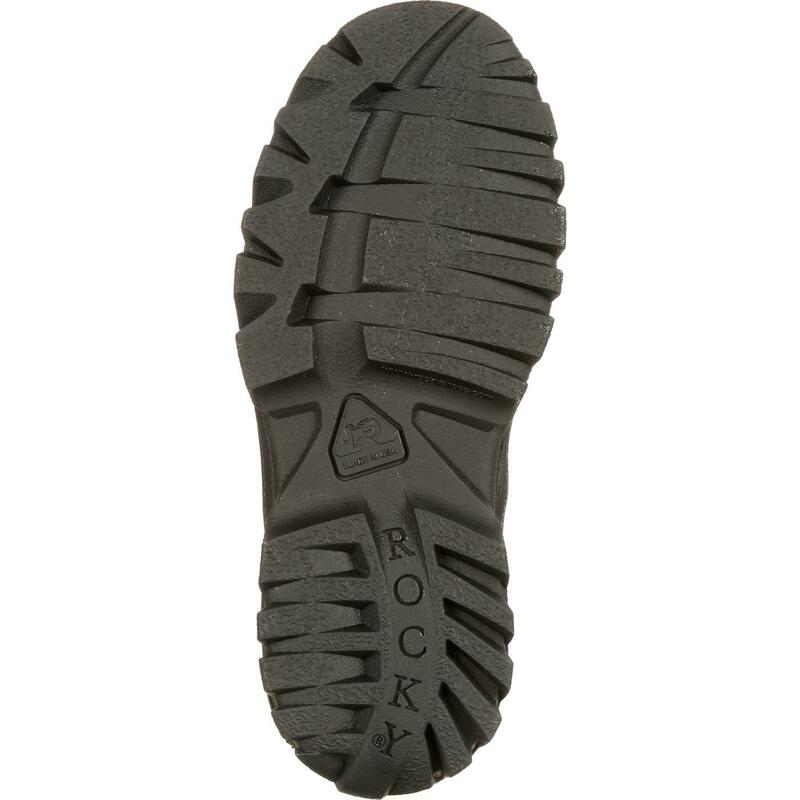 Its slip- and oil-resistant TMC direct attach TPU/PU outsole for stability and flexibility adds even more security to your stride while the Rocky Air-Port™ cushion footbed gives your foot contoured comfort. 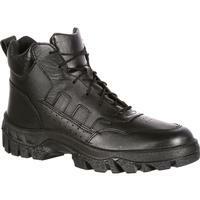 The high-tech composition of this boot makes it an obvious choice for men who want quality footwear, built to last. 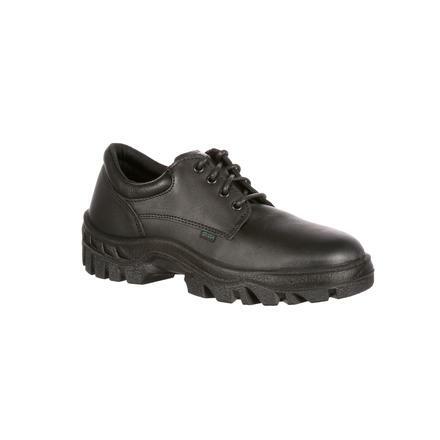 This work shoe is constructed with lightweight polyurethane to ensure the ease and flexibility you need, and it's reinforced with the Aegis™ Microbe Shield to ensure incomparable durability. 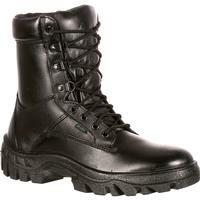 It's a reliable product, carefully crafted to endure strenuous work for several years. 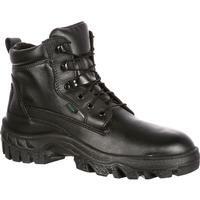 Professional appearance is not forgotten. 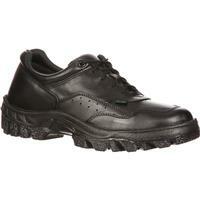 The full-grain leather of this black work shoe is polishable and water-resistant. With four inches of height, it's an easy selection to pair with any pant leg. 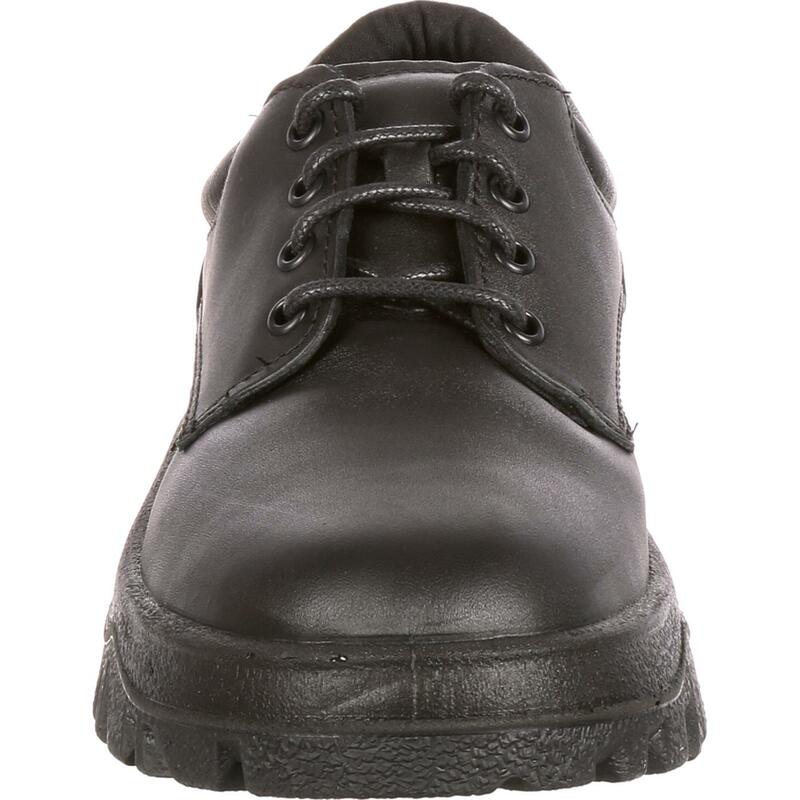 If you're looking for a work oxford guaranteed to withstand your professional demands, the Rocky TMC Postal-Approved Plain Toe Oxford Shoe is your best bet.